Electric Pan is designed with heat adjustable thermostat and durable handles, which require less time and electricity during cooking. It is available in various sizes and thickness and highly appreciated by our valued customers for its great quality. Further, this pan is checked by our quality controller on various quality parameters before delivering to our esteemed customer ends. 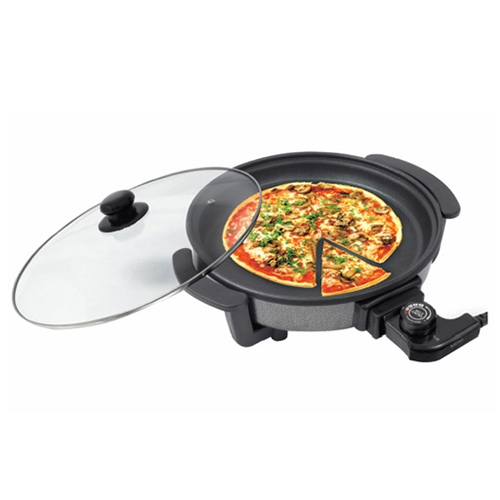 Our offered Electric Pan is plugged into an electric socket to enable it to heat and fry food and praised for their unique attributes like high quality material, strong an easy to clean, non-stick coted surface and heat proof lid.